Mayor-Elect Megan Berry called upon the Metro Nashville Police Department today to assemble a task force aimed at stopping the rising violence in an escalating turf war between Music City’s two biggest rival gangs, the Peddle Taverns and the Golf Karts. 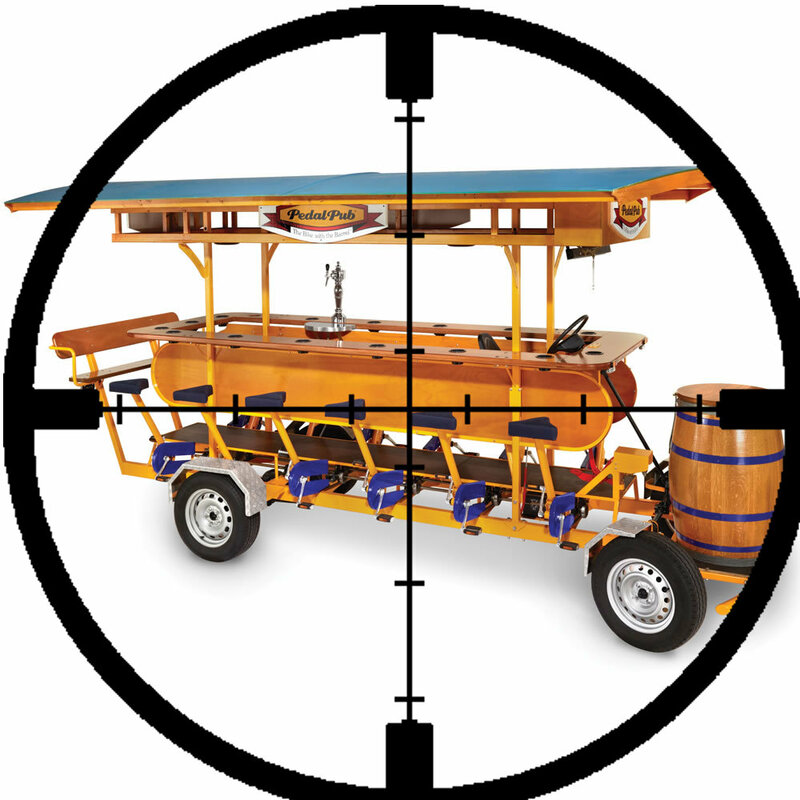 So far in 2015, over 30 deadly attacks have been attributed to the hostilities between the Peddle Taverns and Golf Karts. Peddle Taverns, a tourist attraction which allows riders with lots of extra money, time, and poor taste to drink alcoholic beverages while using bicycle peddles at each seat to propel an open-air trolley through the streets of downtown at excruciatingly slow speeds, are said to have instigated a “turf war” with the Golf Karts, an alternative to taxis which have gained in popularity in recent years due to working for tips, late last year when a Golf Kart was cut off by a Peddle Tavern at the intersection of 2nd Avenue and Broadway. Sources indicate that the incident was exacerbated by the Peddle Tavern’s passengers singing “Ain’t No Mountain High Enough” in no discernible key at the time. In the nearly twelve months since that incident, retaliations between the two vehicle gangs have escalated from merely traveling inconveniently slow in front of one another into all-out war complete with mounting casualties. Peddle tavern image found at http://www.hammacher.com/Product/Default.aspx?sku=12225. little known fact about pedal taverns – the pedals are just for show. underneath, there’s an electric motor doing all the real work. so it’s really just a big golf cart, too. i bet that’s the real source of the beef. Little known fact about the golf carts – the carts have a scurry of squirrels and chipmunks that are fed vegetables soaked in energy drinks powering it by running on a small, specialized treadmill. So it’s really just a big hamster wheel. Everyone knows the horse carriages run this town. I want to follow The Rhinestone!